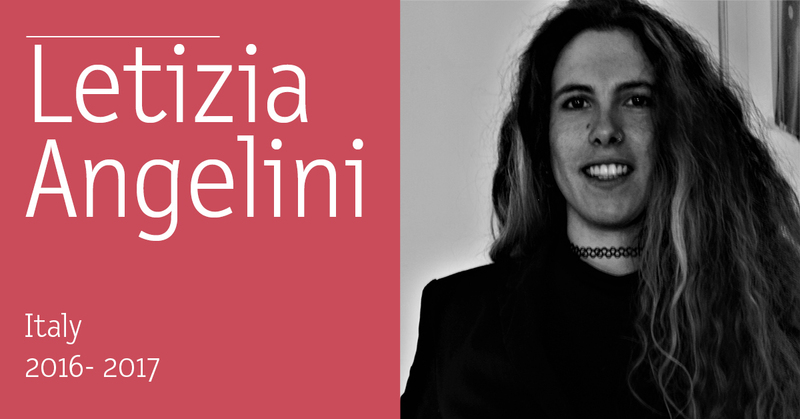 We introduce you to Letizia Angelini, alumni of the Master’s degree in Arts and Cultural Management 2016-2017 edition. Letizia comes from Italy and she has been involved in the management of several cultural projects. Let’s get to know her! 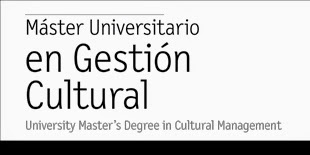 Why did you decide to do the Master’s degree in Arts and Culture Management at UIC Barcelona? I spent most part of my life involved in cultural events for several reasons. I studied music and I performed since my childhood. When I was studying at the University in Rome, I started collaborating in the organization of some events and I also created and developed a radio show related to music events broadcasted on the university radio. When I was attending my first Master’s, I did a traineeship at the Italian Cultural Institute of Edinburgh. I realized that I was spending great part of my life between cultural events and cultural institutions, festivals, concerts and performances, but I wanted to strengthen my managerial skills and professionalise what I was doing for passion. In particular, I chose to attend the Master’s degree in Arts and Cultural management at UIC Barcelona for its international environment – in line with my background – and its pragmatic approach, after years of theory in my previous university studies. I am doing several things at the same time. Few months ago, I founded a cultural association called HazArt in Italy with Antonino Perrotta, a young artist and Angelo Benvenuto, a young photographer. These 2 guys involved me in the organization of an international street art festival in Diamante (South-Italy) called OSA – Operazione Street Art, run in September. In addition, I am still collaborating with Dart Festival Barcelona, the first documentary film festival in Spain focused on contemporary art. We will run the second edition from 29 November to 2 December 2018. My tasks are mostly related to festival communication. Last but not least, right now I am living in Palermo where I am currently working for Manifesta, the nomadic Biennal. How did you get your current job position? About OSA – Operazione Street Art: I met Antonino Perrotta in Rome at the end of 2017, where we collaborated for a street art event. He asked me to help him in communication for the street art festival he was organizing in South Italy. Basically, we had a great connection working together and we decided to found a cultural association to keep on working together for other projects. About Dart Festival Barcelona: I started collaborating with Dart because I met the director Enrichetta Cardinale, when I was studying at UIC and doing my internship at Good2b, working in communication for DGTL Barcelona. She asked me to be her assistant for the first edition of Dart Barcelona and now for the second edition that will be run between November and December 2018. About Manifesta Biennal: I participated to an open call published on its website. What knowledge and abilities do you consider you have acquired in the Master’s degree and that they have influenced you personally and professionally? The international environment helped me to build even more an international mind, an international professional modus operandi and an international network. The managerial, financial, legal and marketing tools I learned helped me to compensate and complete my humanistic and cultural background. The classes focused on real cases and pragmatics discussion and assignments helped me to approach culture from a professional point of view. Most of all, the internship, opened me the doors to jobs and made me a professional cultural manager. This is a difficult question, because each of them has his/her own peculiarity and I don’t have a favourite one. I have sweet memories about Mohammed Elrazzaz for his incredible cultural knowledge but most of all for his closeness and kindness to all the students. In general, the closeness between students and professors is something that I really appreciated during all the UIC classes. I have also great memories of Diane Dodd classes and Carlos Rivadulla among others. Is there any classmate you would like to highlight or do you have any anecdote with your colleagues? In general, it was really nice to study in an international contest with students from 4 continents. Even if I already had several international experiences, it was really stimulating to discuss everyday in class with people coming from the other side of the world. I remember for the amazing and super stimulating discussions Carolina Monteiro y Adriana Rodriguez. Also, Valeria Serna and Mercedes Aguirre: my final project group. I really learned a lot from them working together. ¿Are you still in contact with other alumni from UIC Barcelona? Unfortunately, not as often as I would like, because we are all busy and well distributed around the world:D Anyway, sometimes I write and talk with some of them and I also saw someone even if I left Barcelona few months after Master’s graduation. I look forward to coming back to Barcelona at the end of November for Dart Festival 2018, so I can finally meet again the ones who are still living there.